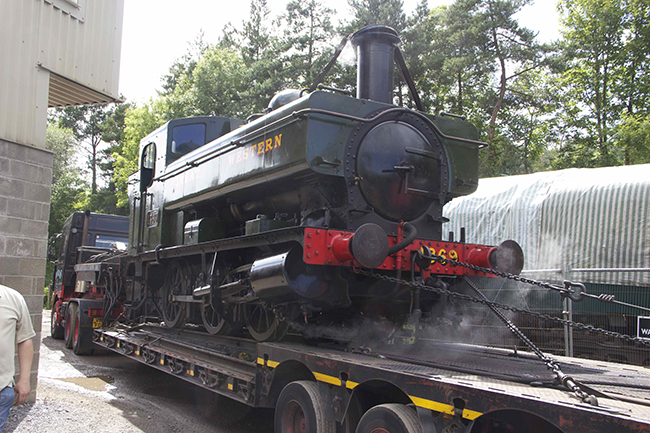 Former GWR 0-6-0PT 1369 is going on hire to the Chinnor & Princes Risborough Railway Co Ltd until the first week of January 2014. Chinnor have been without steam so far this season and have lost a significant chunk of income as a result so it is good to be able to help a fellow heritage railway. 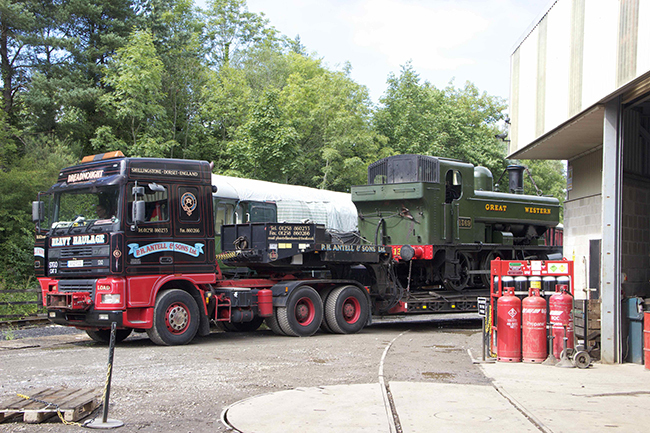 Loading took place on Thursday 15 August, with the loco scheduled to leave the site on the following day.